When we were in Grand Teton National Park I really regretted not getting a shot of the crescent moon setting into the sunset. Thankfully when we went into Yellowstone that regret helped motivate me to make sure I captured it at my next opportunity. 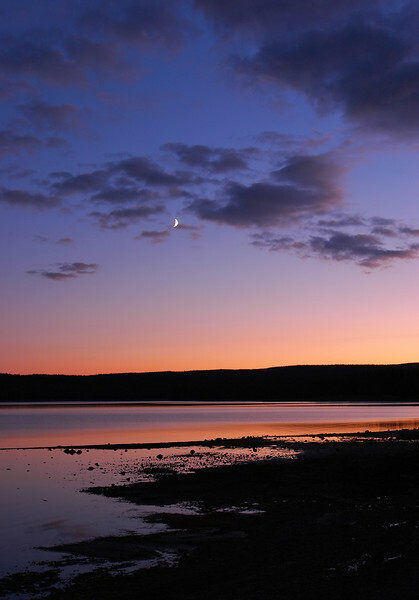 Here is where we saw the setting crescent moon at Yellowstone Lake.